Stars and sparkles are the perfect way to congratulate a special someone, and with this loving cup you can celebrate in style. Your message for the recipient is printed on the reverse and our Chilli and Bubbles character celebrates on the front with his own celebratory drink. After all it's not a celebration without a few cheeky drinks. With china being a traditional gift for a 20th anniversary this mug makes an ideal yet unique wedding anniversary gift. 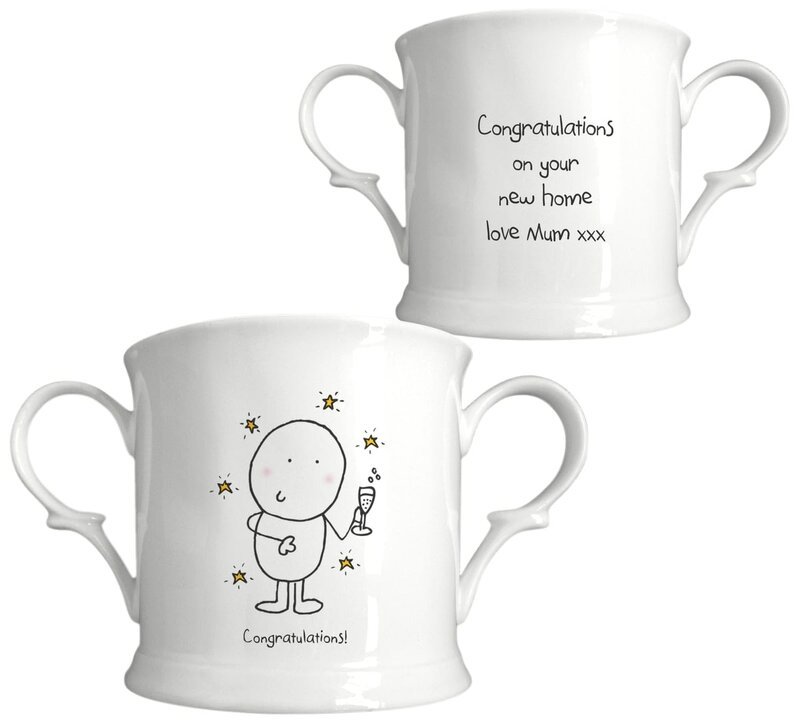 A loving cup decorated with our cute Chilli and Bubbles family makes a perfect gift for a christening day. A loving cup decorated with a cute Chilli and Bubbles design makes a perfect gift for a little one at Christmas. Stars and sparkles are the perfect way to congratulate a special someone, and with this crystal tankard you can celebrate in style.